Kuehne + Nagel has officially opened its new Overland hub at East Midlands Gateway officially opens. The facility has 40,000 sq ft of temperature-controlled space dedicated to pharmaceutical products, and a 155,000 sq ft cross-dock area for general cargo. The site is close to J24 of the M1. 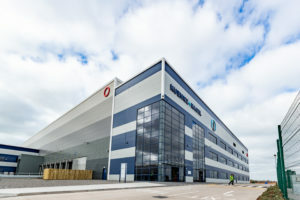 It will combine activities currently carried out in Birmingham and Nottingham and in total 270 employees will relocate to East Midlands Gateway. The site will be fully operational by the end of April.